Below is the copy of a text that was emailed to us by Akram Habeeb, a friend and faculty member of the Islamic University of Gaza, a teacher of American Literature. He was one of the organisers and hosts the linguistics conference that we recently attended, and a little over two weeks ago he had invited us to his home for a family dinner around his table. His is one example of the numerous messages that we are sent from our friends over there. Here for example is a blog, Life In Gaza Strip, written by Azzam Ahmad, the nice and engaging engineer who we met in Khan Yunis and from whom we learned many interesting things. He is in Gaza, witnessing and living through the catastrophe. We feel helpless and horrified, faced with such a brutal onslaught on our friends, on a densely packed civilian population. We feel aghast at our government, which, along with the other governments that have long ago decided to align themselves with the colonial power and oppressor, have no words of protest to say. No call for a cease fire, only the endlessly reiterated Israel’s right to defend itself. In their official statement, Palestinians do not even figure. Not a word of admonishment to their friend Israel. It is as if they stand by and watch a friend brutally beat up a helpless, smaller creature. And say nothing. What friends to have! Not friends, in any case, that Israel, in the long run, will be served by. In the meantime, more Gazan are slaughtered off. Children are ripped apart. The death toll has reached 57. A colleague of mine wrote me this morning: “So what counts is how “different” the two populations are from mainstream Canadians?? It makes me ashamed to be Canadian.” My feelings precisely: ashamed to be Canadian. Yesterday the Zionists pretended that they wanted a kind of truce, but deep down in their mind, they were planning to attack local radio stations and satellites channels. This what I felt yesterday when I admonished Gazzans not to trust what the Zionists say during war times ; the Israelis do not want the world to know about what they are doing in Gaza. They even did not want their people to know about their crimes in a besieged place like Gaza, nor do they want to reveal their own causalities. The dirtiest thing in this war against Gaza is that the fact that it is a game played by Netanyahu in order to win in the coming elections. This is a very Machiavellian tactics: assassinate a Palestinian leader, and as a consequence the Palestinians will retaliate by firing rockets at the Israelites. It is then I, the prime minister of Israel, would emerge as the real savior of the sons of Israel. It is only I who could prevent Palestinian rockets fired at Israel.. 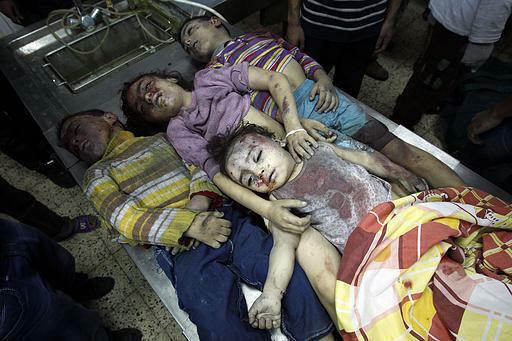 This has always been the game of the Israeli politicians: the more Palestinian you kill, the more votes you harvest. It is not problem for these politicians if the Palestinian victims are children, women, young, or old..
What is worst in the game is the fact that these politicians are supported by European and American leaders. These, and after meticulous meditations, come out and say: Israel has the right to defend itself. Israel, the super power in the region, the nuclear power, is very vulnerable and it needs all the support of those democratic leaders in order to survive! These Palestinians are the real danger to the world peace; get rid of them and the world will be an oasis of peace. This is the rhetoric of the colonizer; it is the crooked rhetoric which makes all the intellectuals, all the freedom loving people sick of. Stop fooling the world; your policy in the Middle East should change; otherwise the Arab spring will reach you when your people will discover that you are not the leaders of democracy but rather the masters of hypocrisy!. A photo that I took from Facebook this morning, posted by a friend who has already lost a dear friends of his. This entry was posted in Solidarity with Palestine, Visiting Gaza and tagged Gaza, Gaza massacre, Gaza onslaught, Israeli crimes.